You have probably seen chefs on TV wildly steeling their knives with big, fast strokes. You probably have a honing steel in your house. They come with most knife sets, and I’d be willing to bet that more than half of them go unused. That’s a real tragedy because the function of a cheap knife starts to suffer as soon as it touches a cutting board. Even the highest quality knife edges suffer with frequent or rough use, and a dull knife is the most dangerous thing in your kitchen. Knives should be honed frequently. I hone my knife every time I use it. Notice that I didn’t say sharpen. Knives that are used properly, that don’t encounter rough surfaces or extremely hard surfaces, should only need to be sharpened about once a year. Sharpening and honing are two different things entirely. So, what is the difference? 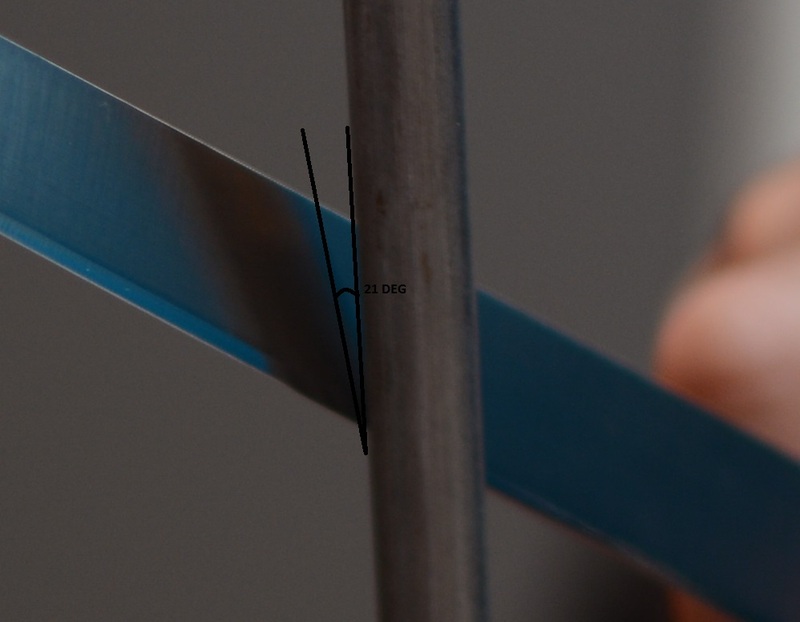 Sharpening is grinding the edge of a knife to remove imperfections and damage. Using increasingly finer grit stones, the knife sharpener will establish an edge or change the existing edge geometry to create desired properties. Sometimes the goal is to be razor sharp, like on a chef’s knife, while other times the goal is to be sharp enough, but durable like on a cleaver. Honing is using a steel or ceramic rod with a textured edge to realign microscopic steel imperfections on a cutting edge. Every time a knife edge hits something like a bone, a stone countertop, wood, fish scales, or grains of sand, these little imperfections curl over and get out of line. This dulls the edge and causes the knife to cut poorly. A few honing strokes will get these little curled pieces back in line and restore the edge. Most people already have an idea of how to use a honing steel from having seen butchers or chefs on TV do it. The problem is, most people are not butchers or TV chefs. For the home cook, that technique is not a great idea. It requires practice, training, and dexterity. If you don’t do it every day, it is extremely unsafe. It is fast, but you don’t need to be fast. Instead of holding the steel with the point up and cutting toward your hand, put the point of the steel on the cutting board and make your strokes downward. A steel is pretty forgiving, so your angle does not necessarily need to match your edge angle exactly. Generally, for regular home knife sets, you want your knife to be about 21 degrees angled from the honing steel as shown. Make 3 to 5 strokes on each side unless you know you beat your knife up pretty bad and then you can do more. Alternate sides with each stroke. Start at the handle end of the cutting edge and stroke across the steel all the way to the tip of the blade. That’s all there is to it. It is a simple task that will improve your end product and your enjoyment while cooking. I promise you’ll notice a difference.